Porter Cable 7424 XP has upped the ante with this new unit that is simply amazing. The PC 7424 has been the detailing standard for many years as it was proven to be paint safe, reliable, versatile and effective for properly applying products and breaking down polishes at an affordable price point. The new model, 7424 XP, has taken all of the great features of the 7424 model and improved upon them, specifically with the power. The motor was upgraded from 3.7 amps to 4.5 amps, along with faster orbiting speeds. The 7424 oscillated at 6,000OPMs, while the new 7424 XP oscillates up to 6,800OPMs, over 13% faster. The larger motor also allows you to apply more pressure without the unit bogging down so quickly. The PC 7424 XP is 120v and has a redesigned on/off switch as well as the placement of the speed dial for better ergonomics. You can now use it faster and get better results! The unit comes with a 6" Counterweight pre-installed but it can be replaced with different sizes very easily. 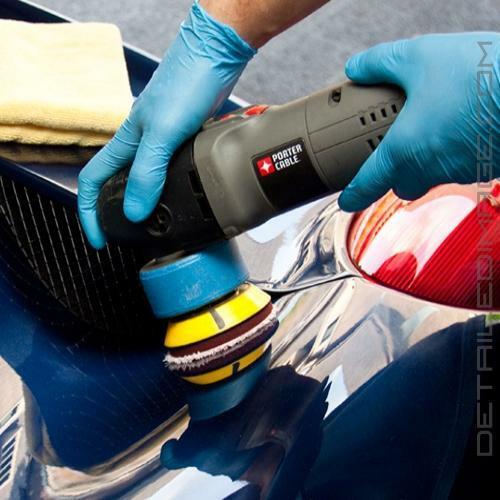 Overall it's an amazing unit that is sure to help any detailer significantly improve their results. For more information you can read the instruction manual that ships with the product in the Product Downloads section below. The new Porter Cable 7424XP now includes a 3 year limited warranty, 1 year free service and a 90 day money back guarantee (through Porter Cable). Note: Does NOT come with a backing plate. To use any of the buffer pads you must invest in an orbital backing plate, not a rotary backing plate. 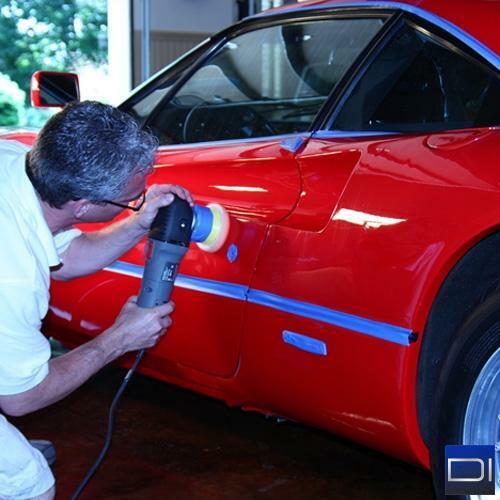 Also, be sure to read over our Polishing Guide for the best results. This is the first buffer I have owned and was concerned about doing more damage than good as I learned to use it. All the videos and help available on the Detailed Image site gave me the confidence to give it a try and I couldn't be more satisfied. The results I'm getting with this buffer far exceed what I as able to do by hand and in much less time. I should have tried one a long time ago. Works great and super easy to use! Fantastic tool! 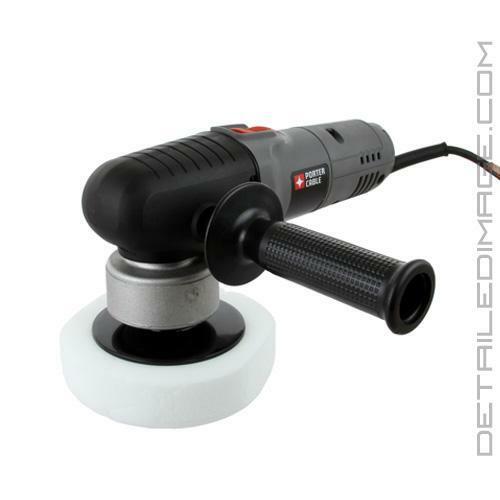 I have to be honest and say that I've never used one of these before but the write ups from Detailed Image are detailed and guided me perfectly along to a beautiful result! I've done two of our five cars so far and can't wait to do the other three. The results from using a professional tool like this are magnificent! This is a quality piece. It feels sturdy and strong in your hands. I was a little worried about the adjustment dial but it seems very strong and like it will last a long time.